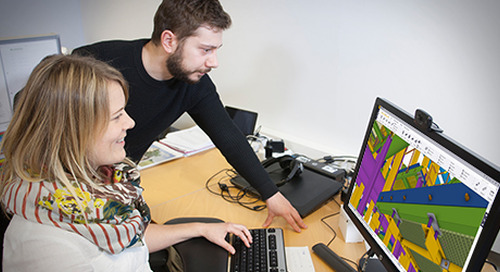 Collaboration is crucial for using building information modeling successfully in construction. This was learned during the Crusell bridge project in Finland. Openness between design and construction teams helped learn more about building information modeling (BIM) and find good practices in the Crusell bridge project in Helsinki, Finland. Many changes were implemented in the structure of the bridge after competitive bidding, as was suggested by the contractor. During the final structural design phase, a shared model was being synchronized on a web server. The project parties sharing the building information model were the designer, project owner, general contractor and many subcontractors. Crusell bridge is a cable-stayed bridge commissioned by the City of Helsinki’s public works department. Jätkasaari island, a part of the former West Harbor near the city center of Helsinki, is being transformed into a new maritime urban district. Cargo operations have been moved to another part of the city to make place for development of some 9,000 new dwellings, giving rise to the need for a new road bridge. The Crusell bridge connects the western residential edge of Jätkasaari with the commercial part of the Ruoholahti district. The bridge is 175 m long and 25 m wide. Its design was chosen through a competition. Construction began in the fall of 2008, and the bridge was completed in 2011. The bridge was designed by WSP Finland and constructed by Skanska Civil. It has two asymmetrical cable-stayed spans, measuring 92.0 m and 51.5 m (the total length is 143.5 m), and a traffic clearance width of 24.8 m. During the design and construction process the project team implemented both BIM technologies and lean construction principles and tools. The Crusell bridge and all accompanying structures on the shore were designed by modeling, and the Tekla model of the bridge contains all structures. Even all concrete structures were modeled, including reinforcement. WSP Finland, who was in charge of structural modeling, also supervised its design during the competition. 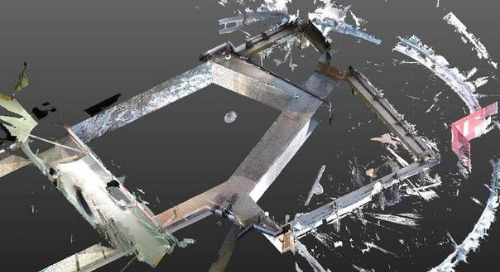 Drawings for steel assemblies and concrete structures were produced directly from the 3D model. 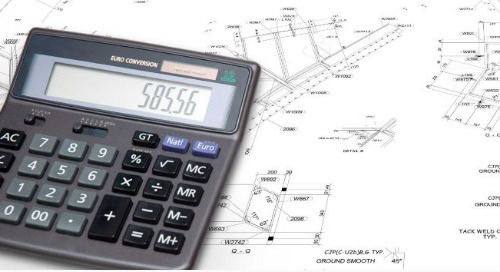 Analysis for the bridge structures were mainly done by FEM calculation. 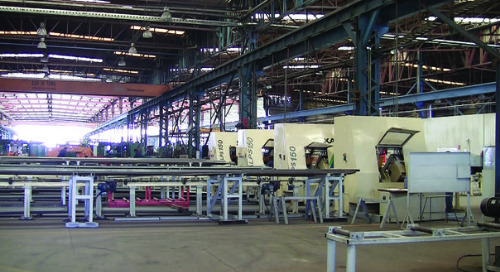 Extensive use was made of the building information model for the fabrication of steel girders and concrete reinforcement, for monitoring and management of the supply chain of fabricated components, for formwork and temporary support structure design, for quality control using laser scanning, and for construction planning using 4D animation. 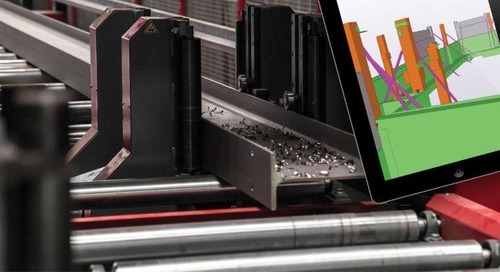 Modeling supported lean construction practices during the project, such as production management on-site using the Last Planner System™. The Crusell bridge project became a BIM learning process for everybody involved, even for those who had previous experience of using BIM, because many new solutions and techniques were tried. The designer had partially modeled the bridge in order to produce visualizations for the design competition. 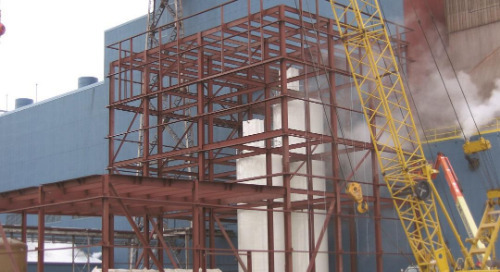 Because their concept design incorporated a large amount of steelwork and had a need for accuracy, they recommended the use of modeling to the client to achieve better results. Thus the client decided to try modeling, including both steel and cast-in-place concrete structures with all reinforcement. Hence the project became a pilot project for both the client and the designer: for the client, it was their first bridge project using comprehensive BIM, including time and management dimensions, and for the designer, it was their first experience modeling concrete with reinforcement. 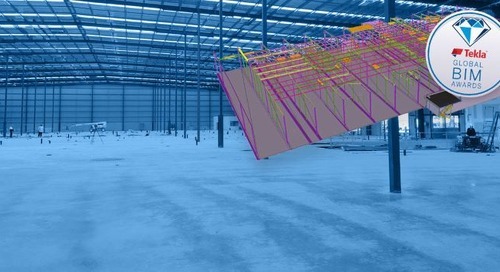 Using the 3D model on site was a new experience for all project parties, subcontractors, surveyors, suppliers, etc. 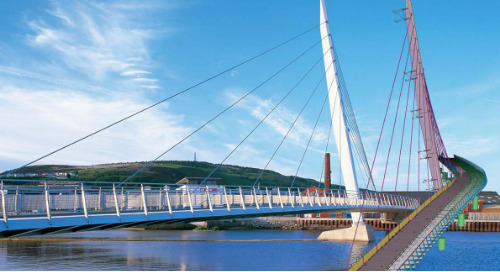 Due to the pioneering nature of the use of BIM on a highly sophisticated bridge, Tekla provided intensive support to the project team. Throughout the design and construction process Tekla helped the team members learn and then apply new features of Tekla Structures software: sharing the model over the Web (synchronization); 4D planning; synchronization of the model with suppliers’ factory management software; and export of fabrication data directly to computer-controled CNC machinery. Various software applications were used through the four different project phases of the Crusell bridge: the design competition, general design development, final structural design, and construction. 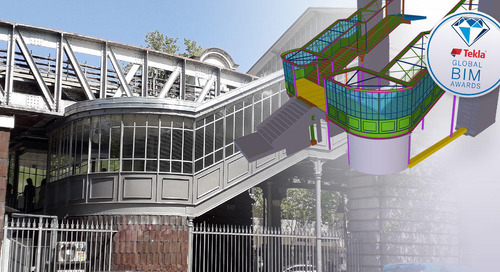 By the end of a four-year break in the project in 2008, BIM tools had developed to the point where the design team considered them suitable for a bridge project of this complexity and software interoperability became a major concern. 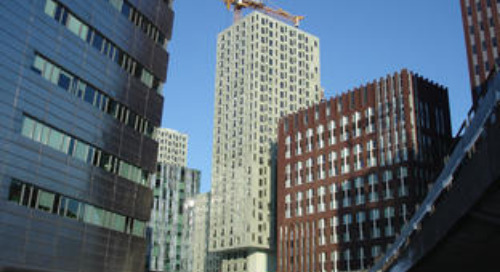 The first and most obvious way in which this was tackled in the project was by all major participants–client, designers, general contractor and major subcontractors–agreeing to use the same primary BIM tool, Tekla. Data exchange between these was thus reduced to a question of data synchronization. 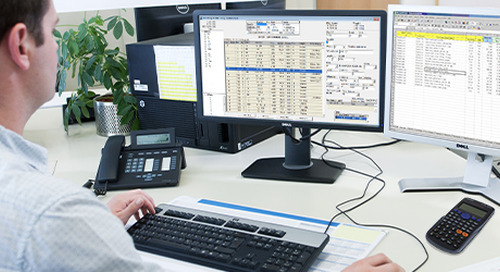 Nevertheless, data also had to be exchanged with other applications, such as Trimble Realworks, Vico Control, PERIC ad, Reinforcement List v3.1 and fabricators’ ERP systems. Where this required only geometry exchange, such as between TrimbleWorks and the Tekla model, the DWG file format was used. Where richer information exchange was needed, such as between the Tekla model and PERICad, IFC files were used. Where alphanumeric data sufficed, or where geometry could be described parametrically rather than explicitly, such as for defining rebar shapes for fabrication, simple ASCII file formats were generated from the Tekla model. Many different participants are involved in every construction project. 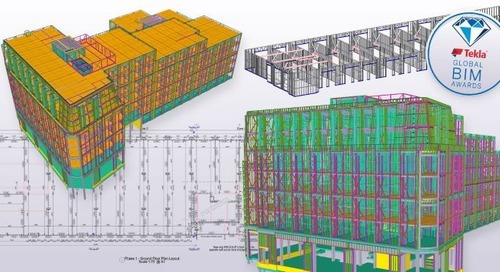 To improve information exchange and communication between them, BIM vendors like Tekla have developed functionality to synchronize the models maintained by project participants. 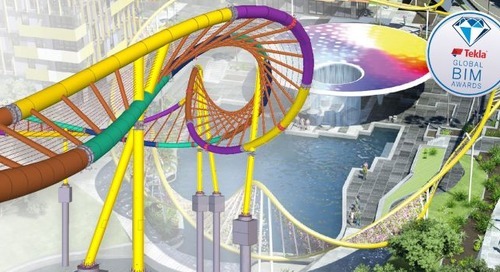 In Tekla’s case, this is achieved using a central vendor synchronization server. The Crusell bridge project was the first bridge project to employ this functionality. The construction model of the Crusell bridge was published on WSP’s server. Its Tekla Web Viewer format was used already in the bidding phase and was thus also available for construction planning and management. 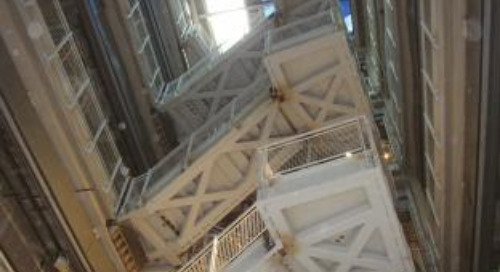 The original structural model of Pylon steel structures was available during the whole project. The contracting model used was Design-Bid-Build (DBB). Its rationale was to allow a selection of fabricators early so that they could influence the final stages of design development. 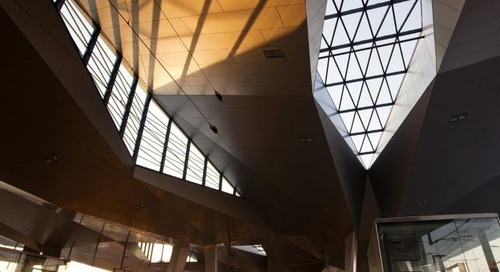 The steel fabricator, Rautaruukki, for example, was involved in completing the design due to their extensive knowledge and experience of steel detailing. This paid off in the long run, as no problems related to the dimensions or quality of steel elements or structures occurred during construction. Synchronization was critical for the project because detailed design continued over a long period in parallel with the construction work. This is common for fast-track projects, less so for traditional design-bid-build. 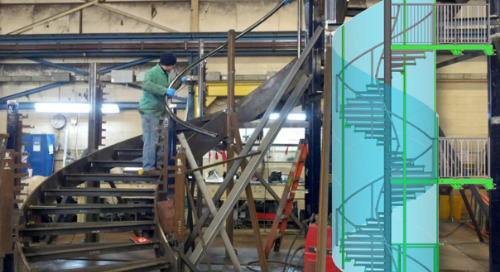 Synchronization between Skanska’s contractor model and Ruukki’s fabrication model proved essential, and this relationship is common in all projects where fabricators undertake fabrication detailing. Synchronization between project participants was performed more or less on a weekly basis. Whenever the designer made significant changes to the model, they informed the site so that they could synchronize to get the latest version of the objects in their model that were inherited from the designer’s model. Because the contractor also modeled temporary structures, formwork and other features, only the designer’s objects that had been changed were added at each iteration, replacing the previous ones. 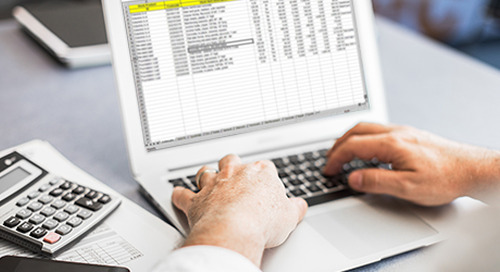 The contractor’s project information officer could filter and identify those that had been updated, and see where and how the changes impacted the construction model. Often the general contractor had information about the changes in the model well before the drawings were approved by the client, so that they could prepare in advance for the near future. Synchronization between the site and subcontractors’ models was also done, but on a less regular basis, mainly in response to the changes made. Synchronization required not only a technological solution but also a management protocol, agreed to by all parties, that stated who was allowed to edit what and when. The Crusell bridge is not large but has an interesting design and made excellent use of BIM for a number of construction purposes. It is fair to say that the model drove the construction in every aspect. All of the bridge’s structure, down to the last reinforcing bar, and all of the temporary supporting structures and concrete formwork was modeled. Skanska maintained the model on a server at the construction site office and appointed a civil engineer to the role of ’contractor information officer’, whose responsibility was to provide information to all project participants and to maintain and update the contractor’s model. 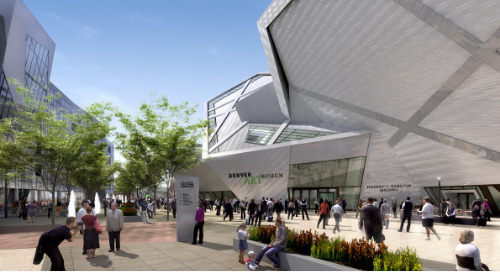 Why did Skanska maintain the model on site? At the time work began, the design was incomplete, and so the project could not be thoroughly scheduled. Site teams were suspicious at first, not understanding how the model would benefit them, or what they could use it for. But everything was modeled, and the contractor’s model was continuously synchronized with the designer’s model as it developed. The contractor’s model became the primary source for all information for teams on site: for dimensions, for visualizing how to build different parts, for procedures, for material delivery reports. The information officer was kept busy providing all the information requested from the model. Although the initial model of the final bridge product was prepared by the designers, Skanska added to it and edited it to reflect the construction process. The model was used a great deal for task and work sequencing, and for viewing work. All of the temporary structures, shoring towers, temporary piles, formwork and equipment, were modeled. 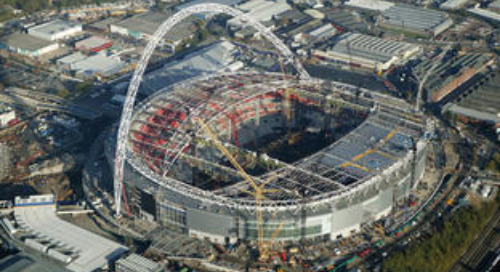 Carpenters would come to view the model to understand complex geometry before and while preparing formwork for concrete, such as the doubly-curved stems of the pylons. These complex faces were imported into Tekla as reference geometry. As the source and for even more detailed information on the project, please refer to BIM Handbook 2nd edition by Chuck Eastman, Paul Teicholz, Rafael Sacks, and Kathleen Liston (Wiley, ISBN 978-0-470-54137-1).